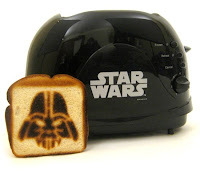 The Wort Report: Do You Like Your Toast on the Dark Side? I wan has!!! That will be the tastiest most evil fifty dollars I'll ever eat!! !